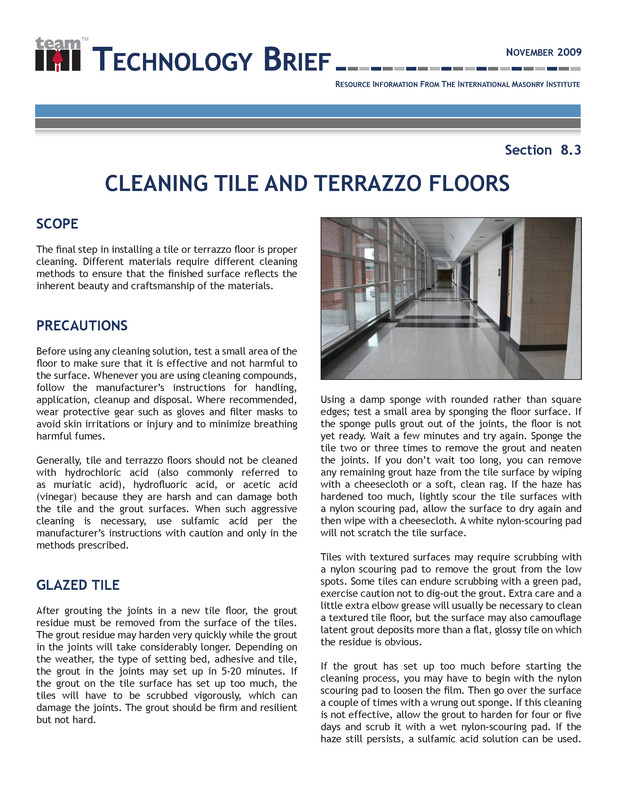 The final step in installing a tile or terrazzo floor is proper cleaning. 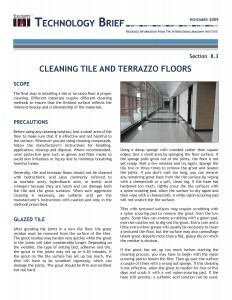 Different materials require different cleaning methods to ensure that the finished surface reflects the inherent beauty and craftsmanship of the materials. © International Masonry Institute. All Rights Reserved.